The new Heliogreen fabric range from Modular Shades & Shutters not only looks good but delivers superior light and heat control while maintaining your views. Buildings using these sunscreens require less air conditioning and the savings on costs can be as much as 40% per year. It’s made using environmentally conscious methods and the raw materials are eco-friendly meaning low VOC emissions* with a greater recyclable component. It not only looks smart, it performs smart too. By installing a Heliogreen fabric screen the internal conditions of any room are improved. The demand on air conditioning systems quickly reduces, saving energy and greenhouse gas emissions. 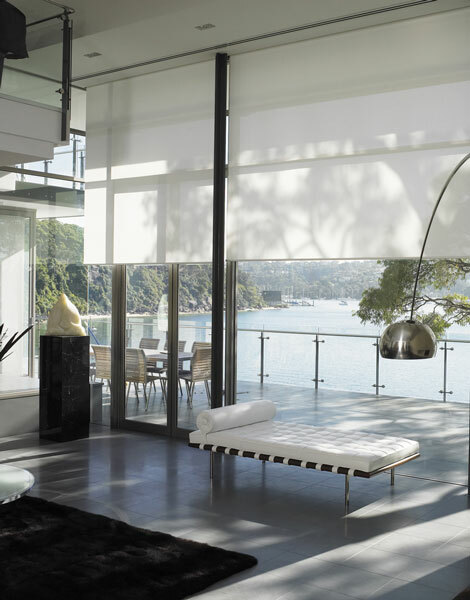 Modular Shades & Shutters supports Helioscreen a proud member of the Green Building Council of Australia. We have many products that meet the requirements of the Green Star™ criteria and many Helioscreen Sun Control Systems are recommended by Eco Specifier. Whether you are an architect or builder looking for a product that will help you strive for a Green Star™ rated office block or you are conscious about eco-sustainable building practices for your own needs Modular Shades + Shutters in conjunction with Helioscreen has your environmental concerns covered. Looking for an environmentally friendly alternative to internal and external shutters? Consider using our range of Thermalite Shutters which are shutters made from non toxic, fully recyclable material. With insulation properties far superior to any timber or aluminium product and a 25 year guarantee, they are worth your consideration. Contact Modular Shades + Shutters to find out the best solution to meet your building requirements. Find out the latest information about how energy plays a vital role in our every day lives on the office for Sustainable Energy Development ideas, tips and recent case studies. * VOC emissions: Volatile organic compound emissions are toxic gases which at room temperature may be released from materials or products.